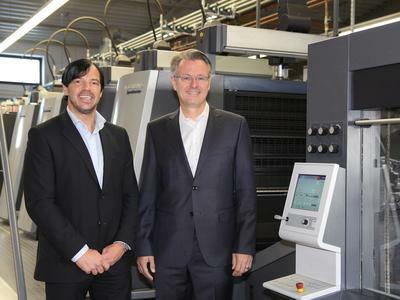 The Onlineprinters GmbH print shop, now in its eleventh year of business, continues to grow dynamically. The company, which operates 15 international online shops under the brand name of Onlineprinters, has acquired a significant number of new customers and was pleased to welcome its 500,000th customer in December 2015. Staff increased to reach 600 employees over the year. In 2015, the company produced more than 2.1 billion printed products in total. Onlineprinters invested several million euros into infrastructure, printers and processing machinery throughout the record year. With more than 110 offset printers, Onlineprinters remains the largest print company in Europe that prints in 3b format. 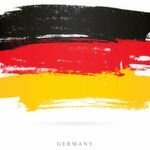 The Germany-based company is one of the biggest online printers in Europe and was one of the first to provide online printing services. Unlike all other large online printers, the company has evolved from a classic print shop. The business model combines industry and e-commerce: Customers can order their bespoke printings over the Internet in a fast and simple process, and the orders are subsequently forwarded to the company's in-house production department. Production uses so-called gang run forms for collective printing of jobs from multiple customers using one printing plate. This approach minimises costs and is more eco-friendly. The Onlineprinters product range comprises more than 1,400 printed products from business cards, stationery and flyers to catalogues, brochures and large-format advertising systems. Online printing has made custom printings accessible to a wide group of consumers with industrial-scale production providing already small print runs at low prices. Compared to the previous year, Onlineprinters' orders for up to 100 copies rose by more than a fifth. The same was seen for single-copy orders. The latter trend can be put down to the rapid development in the field of large-format products. Customers are highly interested in outdoor advertising products such as advertising tarpaulins, advertising signs and flags that can be ordered to centimetre specifications from Onlineprinters. Onlineprinters will keep to its previous annual objectives also for 2016: The goal is to reach a two-digit growth rate. As a consequence, more investments will be made in printing and processing technology. "We have identified potential in particular in the B2B business and in international markets," says CEO Dr. Michael Fries. Walter Meyer, the company's founder and COO, anticipates continued growth in the area of large-format printing: "The trend towards large-format outdoor advertising will intensify in 2016. This is because online printing has made these products affordable and ordering only takes a couple of minutes." Moreover, Onlineprinters expects important stimuli from this year's print media fair, the drupa. "Topics such as process improvements in further processing and high-volume digital printing in high quality are interesting and present excellent opportunities for industrial job printing. This will open up new offers and products in online printing," Fries says with optimism. Onlineprinters GmbH is one of Europe's leading online print providers. 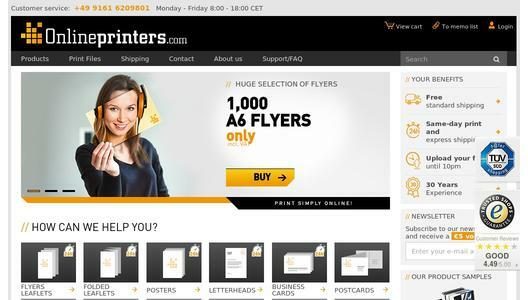 In line with the motto "Printings simply ordered online" the company sells printed products to 500,000 customers in 30 European countries through its 15 web shops. Internationally, the company is known under the brand name "Onlineprinters"; in Germany it operates under the name "diedruckerei.de". The product range comprises 1,400 printed products from business cards, stationery and flyers to catalogues, brochures and large-format advertising systems. The formula to successfully producing customised prints in terms of Industry 4.0 rests on three pillars: online sales, fully integrated production from ordering to shipping and gang run printing. The latter uses so-called combined forms to collectively produce print jobs which minimises costs and reduces the environmental impact. Selected products allow customers to choose the option of same day printing (produced on the same working day), overnight delivery, climate neutral production and custom size specification. Onlineprinters GmbH employs a staff of 600 and produces over two billion printings per year.